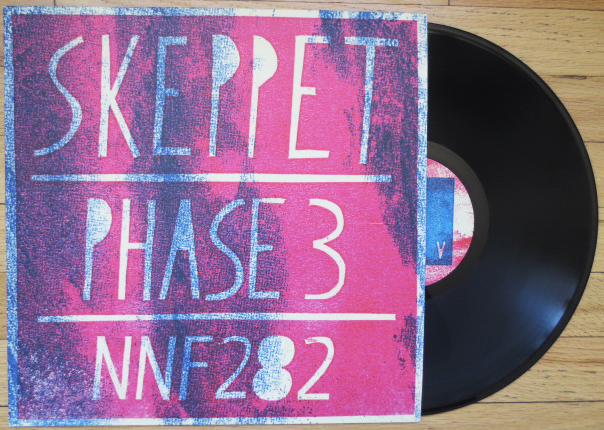 Though active for half a decade, instrumental hypno-kosmische duo Skeppet (Swedish for ‘vessel’ or ‘ship’) have only released two tapes, one 7″, and one split LP, all on local Scandinavian labels. Even so, their mantric ceremonial psychedelia hooked us immediately, delivering on the title of a 2010 compilation curated by core members Andreas Malm and Henrik Wallin for their own Kosmisk Väg imprint: The New Wave Of Swedish Cosmic Music. For Phase 3, the group’s first vinyl full-length, they drafted Upper Layer Cruiser Martin Nilsson to play additional percussion, infusing a texture of mind-washed congas within their futurist Popul Vuh ascension voyages and opiated raga-rock. 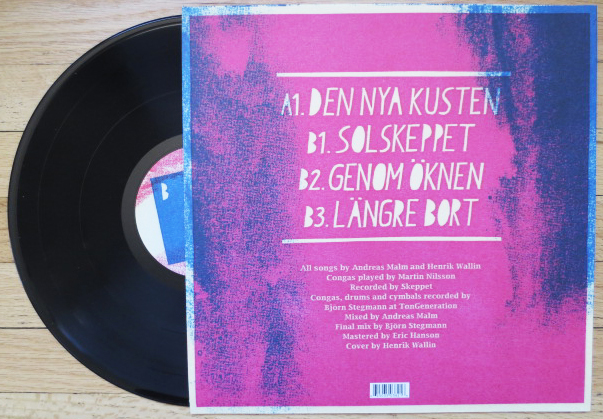 The album echoes a deep-orbiting craft, careening deep into the ether (the 20-minute wormhole “Den Nya Kusten” aka ‘the new coast’) before arcing back towards the solar wind, increasingly sunbathed and radiant (“Solskeppet” aptly starts the B side: ‘sun-ship’). A refined exploration of transportive aerodynamics and escape pod jamming by a sub-radar squadron who’ve paid their dues in the engine room. Recorded in waves across three years, partially at Skeppet’s home studio in Malmo and the rest at TonGeneration Studio with Björn Stegmann. Mastered by Eric Hanson. Block-stamped graphic artwork and layout by Henrik Wallin.